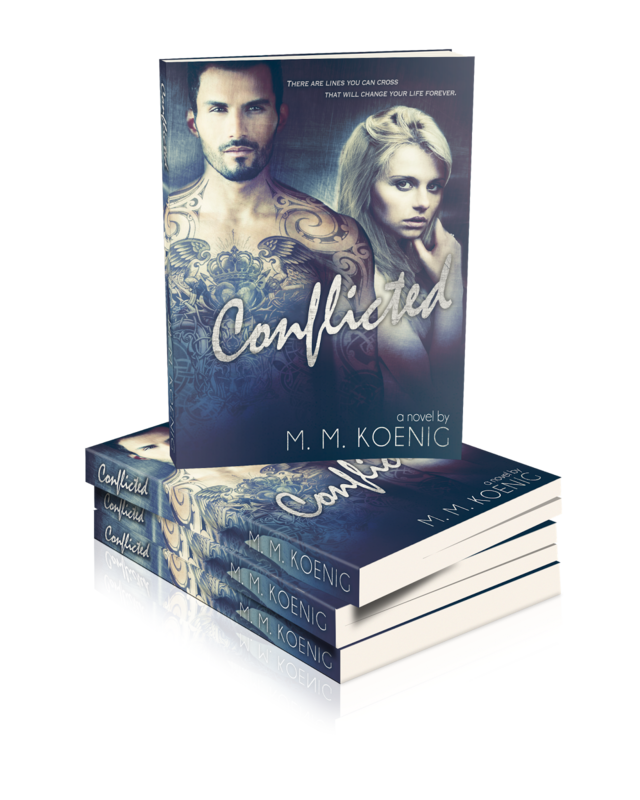 New Release/Cover Reveal: Conflicted by M. M. Koenig plus STEAMY EXCERPT! “It’s hard to stalk someone when they’re in the club that you own,” he shot back. “I’m angry because you keep denying me when it’s clear you want me. To top it off, you come to my club and dance with countless men right in front of me,” Ethan growled. He ran his nose down my neck before licking away a bead of sweat. I gasped. The hand that he had moved to my waist slipped underneath my top. 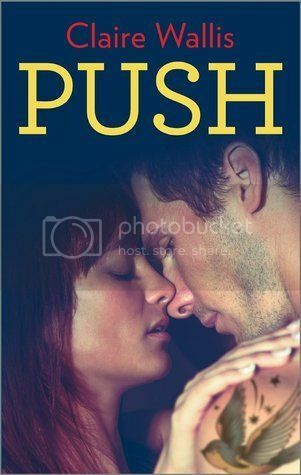 He caressed my belly before running his fingers further down, making every ounce of me come to a dull ache. Against my will, my body moved in ways to encourage him to travel further south to take full advantage of me. Ethan’s hands settled along my waistline, lazily trailing his fingers along it. My mind screamed one last time that this was not an option for me. In a last-ditch attempt, I paused his hands so he wouldn’t go any further. Ethan whipped me around to face him. The passion in his eyes was unmistakable. “I’m trying to do the right thing,” I moaned. “You want me. I want you. I don’t care what’s right or wrong,” Ethan hissed. M. M. Koenig was born and raised in Minnesota. She now lives in the Twin Cities area with her loving dog Marley. She is a graduate of the University of Minnesota with a Bachelors of Science in Sociology. 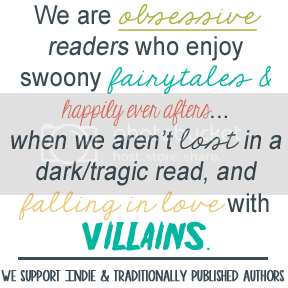 She pays the bills as a customer service representative at a major title insurance company, but writing is her true calling. She is still searching for that special someone, but isn’t worried about finding him. He’s out there somewhere. In the meantime, she finds Mr. Right in her own writing along with a variety of other authors that have inspired her. She has written in one form or another throughout the course of her life. She began the Secrets and Lies Series in January of 2013. The first book of the series, Conflicted, is now available for purchase at Amazon and Smashwords. She is currently working on the second book of the series, Complicated, which will be available for purchase by late spring of 2014.